At Earth Prime, we believe in using technology to bring people together and build a smarter, more sustainable future. Together, our smart, beautifully designed hydroponic gardening system and app form a complete system that makes it easy to grow fresh, nutritious produce from the comfort and convenience of home. The iGardenX hydroponic garden is the world’s smartest, sturdiest, most versatile home hydroponics system. With iGardenX, you can grow a wide variety of plants and herbs anytime and anywhere. No green thumb? No problem! The iGardenX automates the entire growing process, so you never have to worry about forgetting to water your plants. Plus, iGardenX’s compact size and beautiful design make it a perfect addition to any environment. 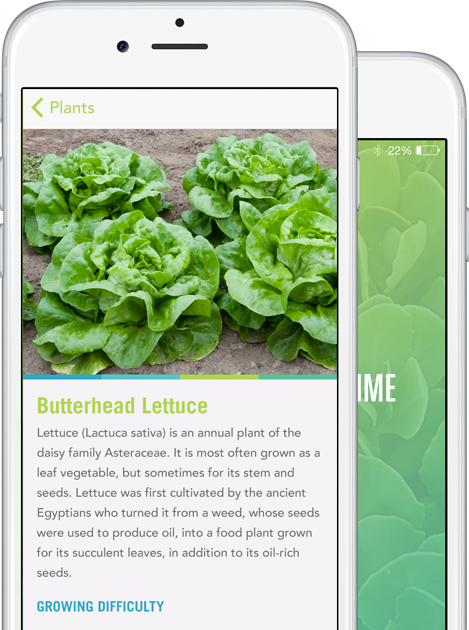 The Earth Prime app puts all of the knowledge of a seasoned gardener right at your fingertips. Learn about plant types, their growing needs, pest prevention and more, plus order all the supplies you need to keep your iGardenX growing strong all year long. Use the Earth Prime app as a stand-alone gardening guru, or pair it with your iGardenX for the ultimate smart home gardening experience. Home gardening is about much more than growing great produce. It conserves resources, eliminates food waste, reduces energy consumption, and brings families, friends and communities together. It’s good for the planet, good for communities, and good for you. plus priority ordering for iGardenX! © Copyright EarthPrime. All Rights Reserved.